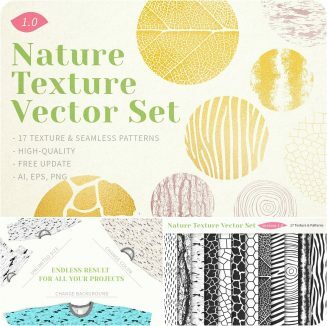 Introducing Nature Texture Vector Set. Beautiful patterns taken from nature are suitable for many purposes. From web design to branding. So easy to customize with endless creative outcomes. File format: .eps, .png, .ai for Photoshop, Illustrator or other software. 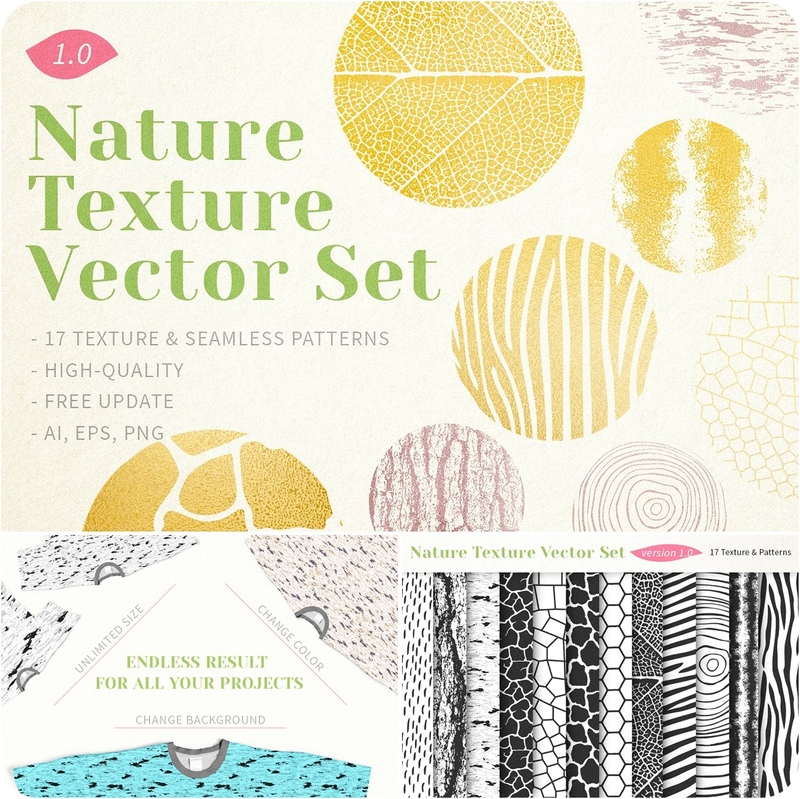 Tags: giraffe, honey comb, leaf texture, mud, nature, sand, texture, tree rings, zebra.